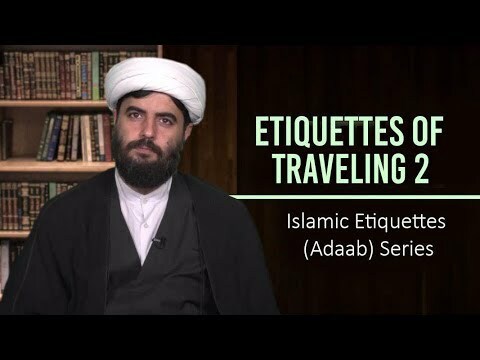 This session: - How should we attain etiquettes? - Method 1 of acquiring etiquettes - Method 2 of acquiring etiquettes - Method 3 of acquiring etiquettes - Imam Ali\\\'s (A) advice Hujjatul Islam Haq Panah is a Howza teacher in Qom, Iran. 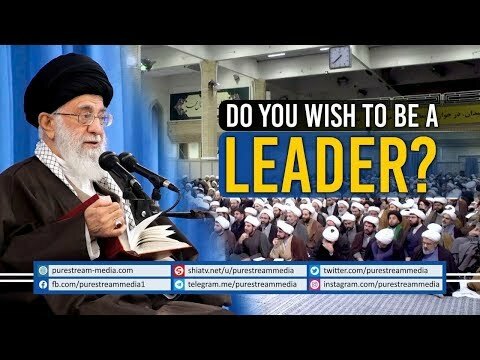 The duties of a Student by the Leader The duties of a Student by the Leader In addition to acquiring knowledge, the students are advised to ... Take a listen. Follow us at: Instagram.com/PureStreamMedia Telegram.me/PureStreamMedia Fb.com/PureStreamMedia In addition to acquiring knowledge, the students are advised to ... Take a listen. Many around the globe read the Holy Quran but do not understand the purpose of the Holy Quran. Many strive for acquiring Taqwa but end up interpreting this divine value in a such a wrong way. In this short clip, Vali Amr Muslimeen Ayatullah Sayyed Ali Khamenei (H.A) talks about these two. As dialog continues between Iran and the five permanent members of the UN Security Council plus Germany, a group of US senators is threatening to push for more anti-Iran sanctions. Fourteen Democratic and Republican lawmakers have pledged to work together on legislation aimed at imposing new sanctions on Iran over the coming weeks. The bipartisan group of lawmakers includes Democrats Robert Menendez and Republican Bob Corker. The lawmakers say they want to prevent Iran from acquiring the capability to develop a nuclear weapon. The US has passed several rounds of illegal sanctions against the country, hitting the Iranian public hard. Tehran says its nuclear energy program is for power generation and producing medical radio isotopes. Israeli Prime Minister Benjamin Netanyahu has made fresh allegations about Iran\'s nuclear energy program, claiming that it is the biggest threat to global security. The Israeli prime minister made the remarks during a press conference with German Chancellor Angela Merkel, who is on a two-day trip to Tel Aviv. He added that he wants to hold discussions with the German chancellor on ways to prevent Iran from acquiring a nuclear weapon. Israel itself possesses at least 200 nuclear warheads. In contrast, Iran is a signatory to the nuclear Non-Proliferation Treaty, and the International Atomic Energy Agency has conducted numerous inspections of its nuclear facilities but has never found any evidence of diversion. What was the value of government and power for Imam Ali (A)? Was acquiring government his real objective or was it something else? A deep talk by Imam Khomeini (r). Congratulations to all the believers on Eid al-Ghadir.